For the perfect autumn evening, I couldn't not use the Vanilla Pumpkin shower gel from the Body Shop. I've collected so many to give as Christmas gifts early I know I just love the scent a little too much. 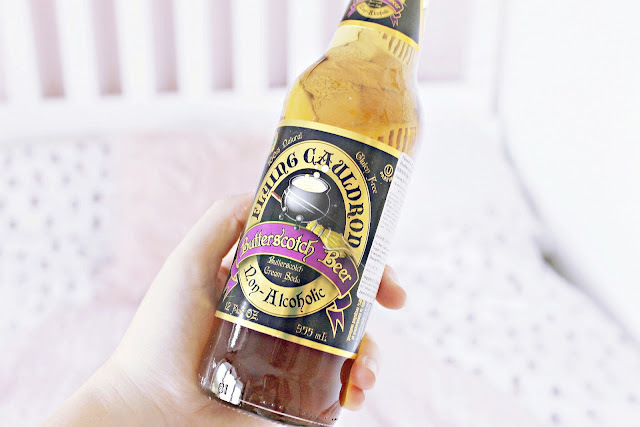 It smells like almond, caramel and pumpkin cake, so sumptuous and funnily quite similar to the taste of Butterscotch soda below! 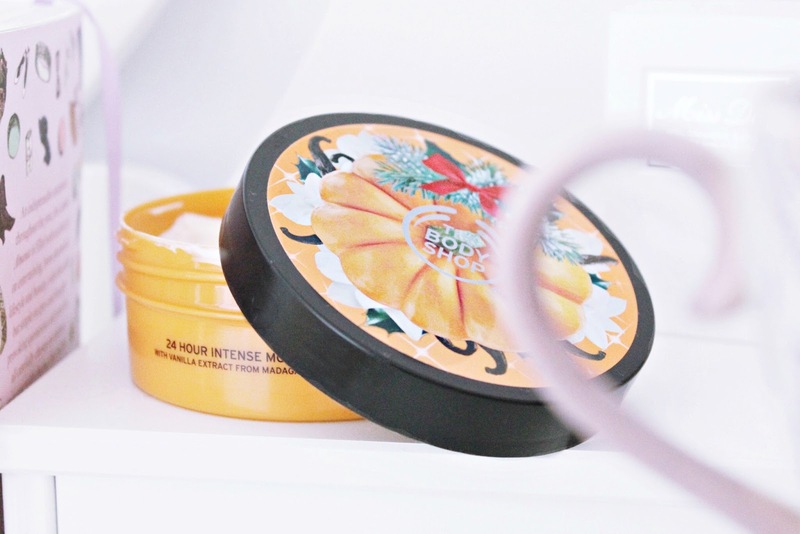 You get so much in a bottle for just £5 and the texture is so creamy and lathers up quickly. 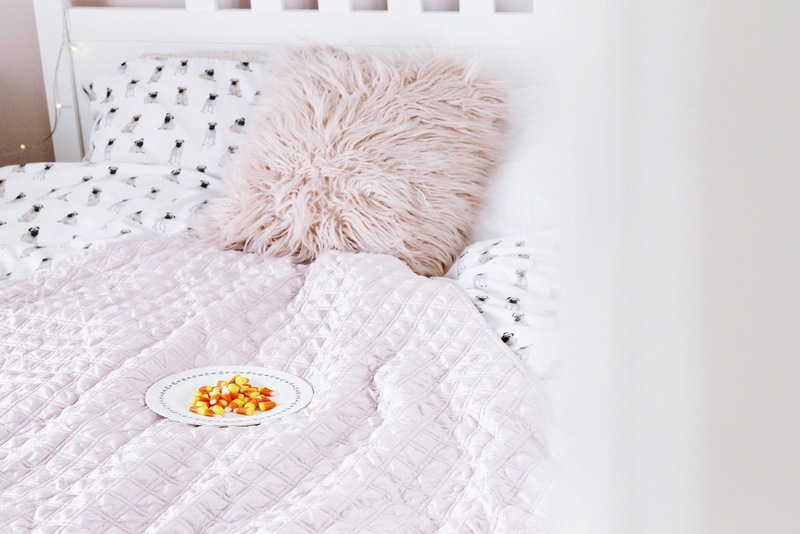 It helps sooo much that Oscar has his own room now and I can cosy up and have 'me time' with my fairy lights on and heaps of pillows... spot the candy corn! I couldn't resist picking up some Halloween treats when we popped down to Lancaster on the train... lots of candy corn, plus bonfire toffee to sweeten the deal. I also couldn't resist picking up this 'Butter beer' to try, as I'd never come across it before! Non alcoholic butterscotch beer... Mitch was grossed out by the idea but it tastes amazing, like fizzy milk bottle sweets. Add ice and drink chilled, its just like a Tango ice blast, caramel ice cream flavour. I wish I'd bought ten bottles. I am so glad I finally managed to get my hands on this butter! I received this and a shower gel free as part of a Body Shop offer and it's irresistible. Kind of reminds me of how Tolberones taste, it smells like almonds, vanilla, pumpkin and honey, something of a nutty scent. I keep unscrewing the lid just to smell it. I am one of those novelty sock enthusiasts and a weird person who find socks comfiest to sleep or chill out in! This Pusheen pair have pumpkins on and this makes me so happy, it's such a cute design. I wrote about my bat Pusheen socks here and they came as a pack of three, each with Pusheen dressed up in spooky costumes. Finally I settle in to an evening of reading blogs. One thing I love to do and just got back in to again is entering competitions. 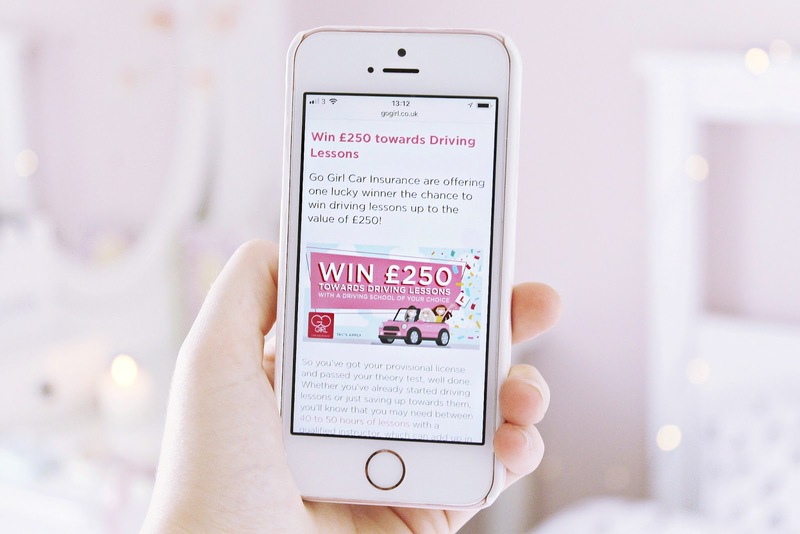 This driving lesson comp caught my eye as it's one thing I'd love to be able to afford, one thing I'd love is to be able to have more freedom, to visit more places in the Lakes and not rely on public transport. I'm a long way off, both physically and financially, but making a first step would mean the world haha. Got a bit sidetracked there haha, sometimes I just love the freedom of a lifestyle blog because you can just unload on whatever's been on your mind; a lot of my content is pre planned so I'm letting myself become more relaxed with what I write. It's the little personal ramblings that I love reading on others' blogs because I'm nosy haha! 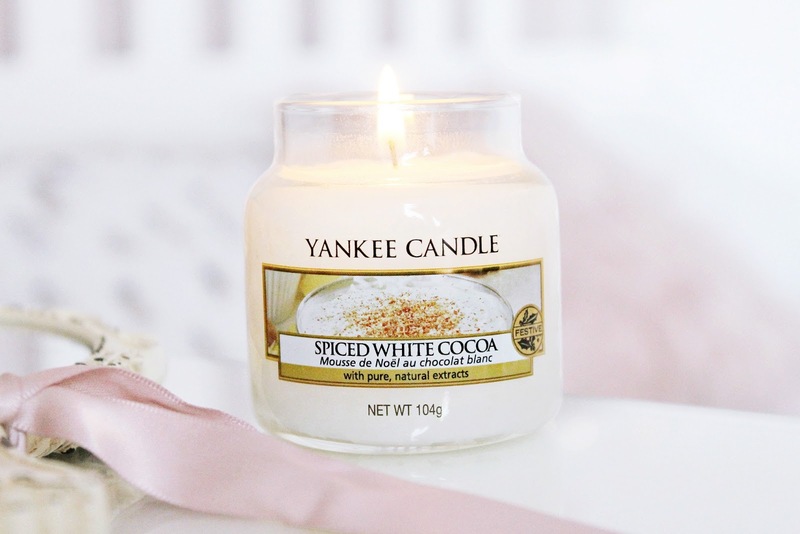 What's your cosy evening routine like - and do you prefer 'ramblings' or more pre planned content? Your pics are so pretty and look so cosy! I love those Body Shop products! They smell heavenly. Good luck with the driving comp! Ive just passed my test after 5 attempts and its given me the world of independence! Really recommend it, once its done, its done for life! I love the sound of the yankee candle too, best scent I've heard of, need to get my hands on that!! I love Yankee candles, I just got two Hallowe'en themed ones, Witches' Brew and Candy Corn. They didn't have them in small sizes in my local garden centre this year but they were on eBay. P.S. 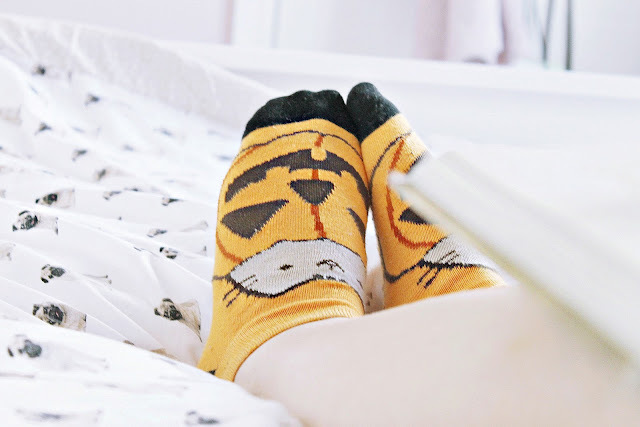 Love the Pusheen socks! I should do some Autumn shopping now. 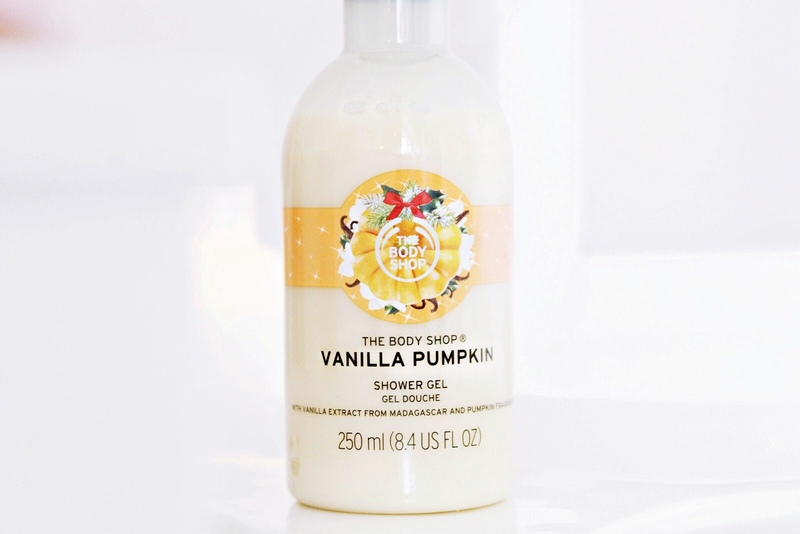 That body butter sounds amazing and I need something that has a pumpkin scent. Thank you for sharing this. Yay for all of the candles! This post totally relaxed me! Your blog is actually super adorable like I'm actually in love, and please teach me how to take such great pictures and have such a photogenic room! This sounds like an ideal evening in!